The captains from Super Mario® Strikers are back, joined by four new ones, and now players can create their own original teams by mixing and matching their captain with a new cast of sidekicks. All characters have their own sets of special abilities, making each one play completely differently from the others. 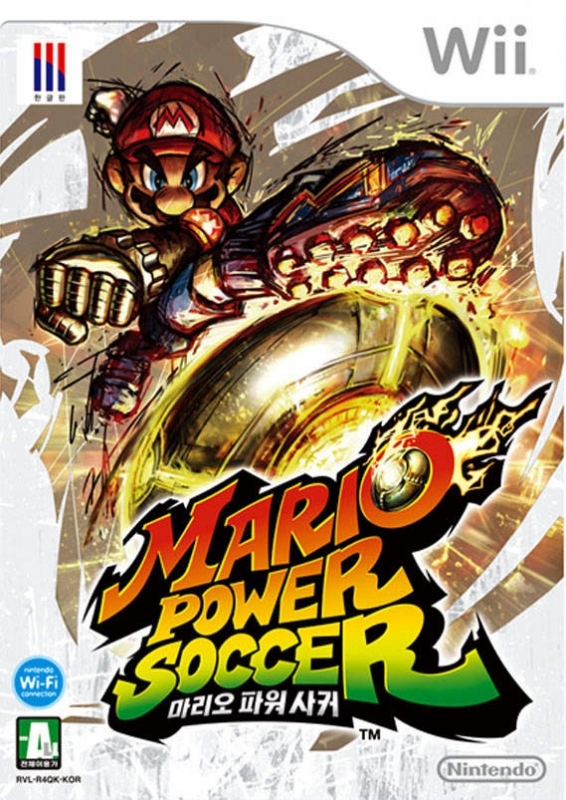 New captain super-abilities and sidekick skill-shots add a new level of depth to already crazy soccer battles on the most unpredictable and hazard-filled pitches in the Mario™ universe. Each field features its own set of interactive hazards that alter game play during the course of the game. There are tons of new single-player modes, from tournaments to challenges to tutorials, but the game truly shines in multiplayer. 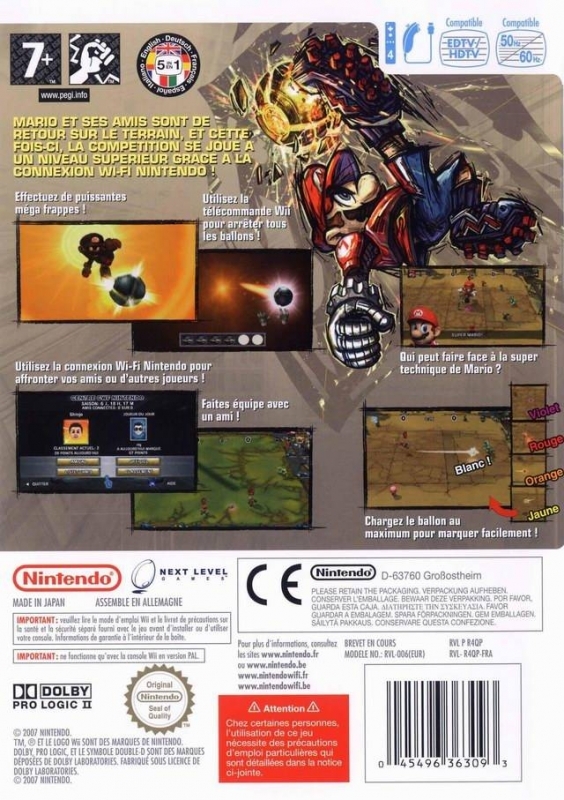 The game features a robust multiplayer mode: Up to four players can battle locally, or they can go on Nintendo® Wi-Fi Connection (by themselves or with a friend) to compete with friends and rivals. 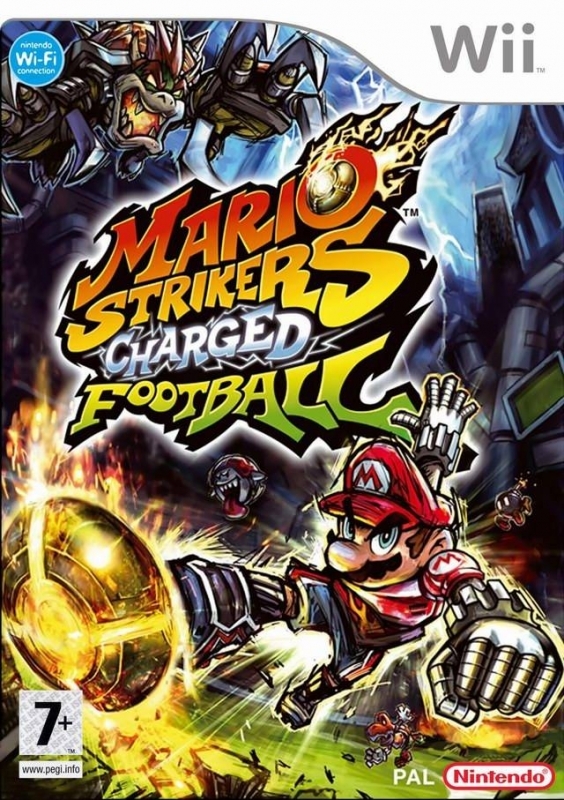 Building on the frantic fun of Super Mario Strikers, this game gets players into action only possible on Wii. 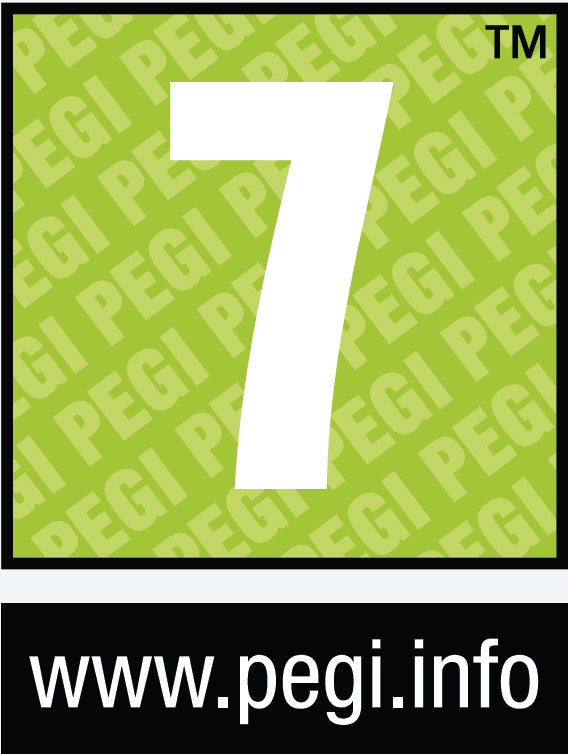 Primary game-play controls use both the Wii Remote™ and Nunchuk™ controllers. Players use the Nunchuk to control their characters and deploy items. Flick the Wii Remote to perform the defensive “Big Hit” move and flatten foes. 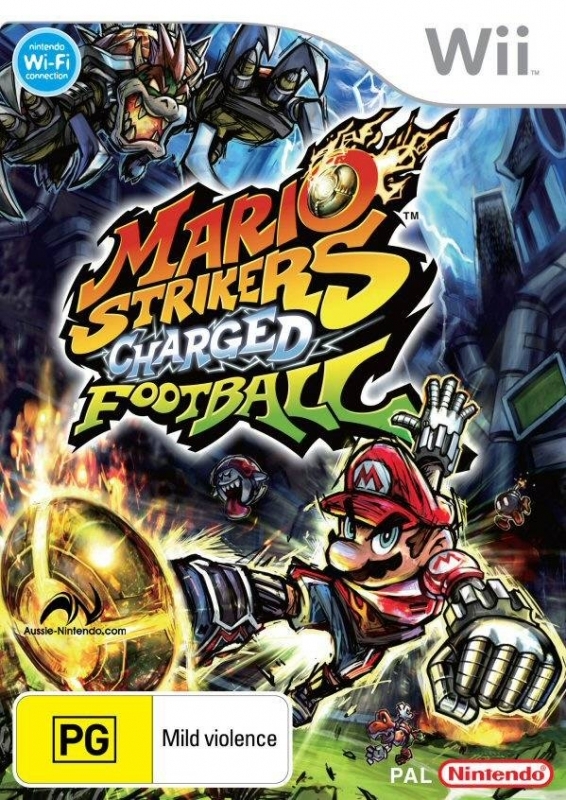 To defend against a “Mega Strike” goal attempt, use the Wii Remote to point at the screen and manually defend against multiple balls as they rocket toward the screen. 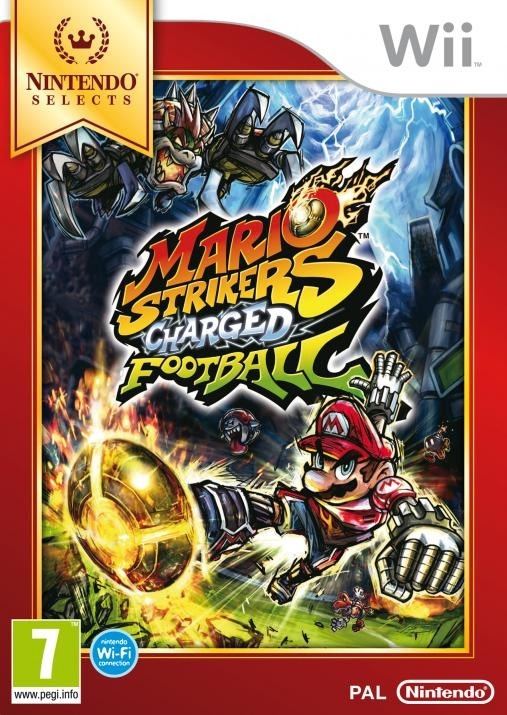 Game storyline: Characters from the Mario universe clash in a sensational battle-sport based on the original Nintendo GameCube™ title, Super Mario Strikers. In the Road to the Striker Cup mode, players take their favorite captain and compete through a set of tournaments. Players must first battle their way through the Fire Cup and the Crystal Cup, eventually reaching their goal of competing for the Striker Cup. The competition is fierce, and the difficulty grows as they battle their way through the tournament ladders on their way to the Striker Cup. How to progress through the game: There is tons of fun to be had just playing a single match in single-player or multiplayer modes, but players also can settle into tournament play in the Road to the Striker Cup. Or they can try to finish 12 of the toughest game situations in Striker Challenges. Beating either of these modes will unlock new stadiums, new captains and player cards useful for game cheats. 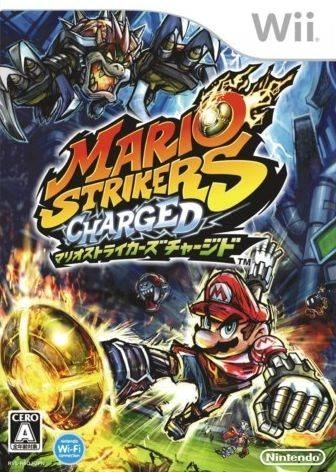 Characters: Mario Strikers Charged welcomes eight new characters to the field of play, including four captains (Bowser and three secret captains) and four sidekicks (Dry Bones, Boo, Monty Mole and Shy Guy). Back from the first Strikers are Mario, Luigi, Peach, Wario™, Donkey Kong®, Waluigi, Yoshi™, Daisy, Koopa, Toad, Birdo and the Hammer Bros. 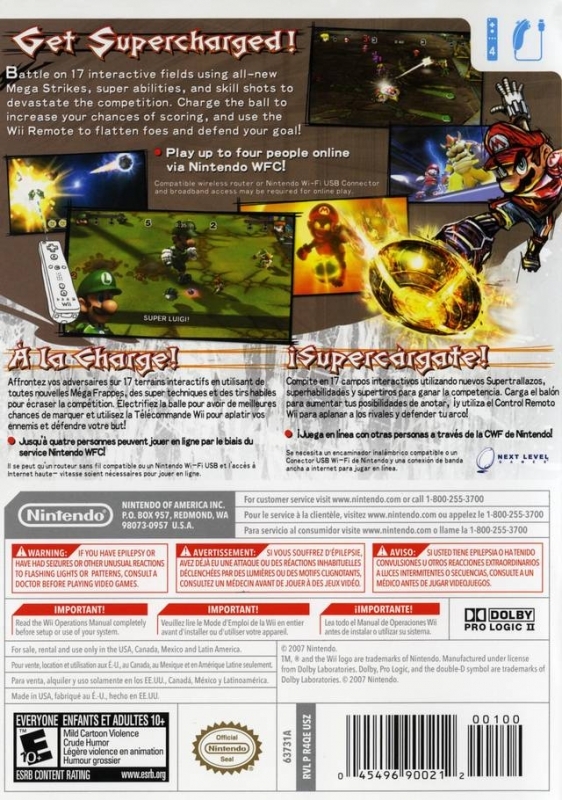 Stadiums: Mario Strikers Charged features 17 total stadiums. Nine of them are new, each with its own terrain and set of perils that affect the game play. New stadiums include the Sand Tomb, Thunder Island, the Vice, the Lava Pit, Galactic Stadium, the Wastelands, Crystal Canyon, Stormship Stadium, the Dump and Classroom. Also included are the classic stadiums updated from Super Mario Strikers. 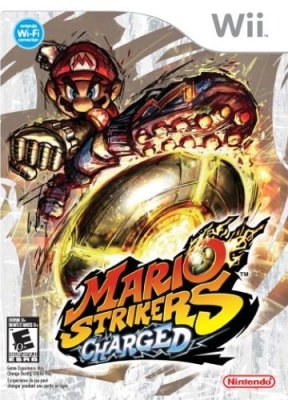 Special powers/weapons/moves/features: Mario Strikers Charged is all about maximizing the abilities of the different characters, as each character has a unique set of abilities and skills, not to mention super-abilities like Donkey Kong's Thunder Wham or Bowser's Fire Storm. Charging a ball provides a more powerful shot for both the captain and sidekick characters. A fully charged captain shot will result in a devastating Mega Strike goal shot. 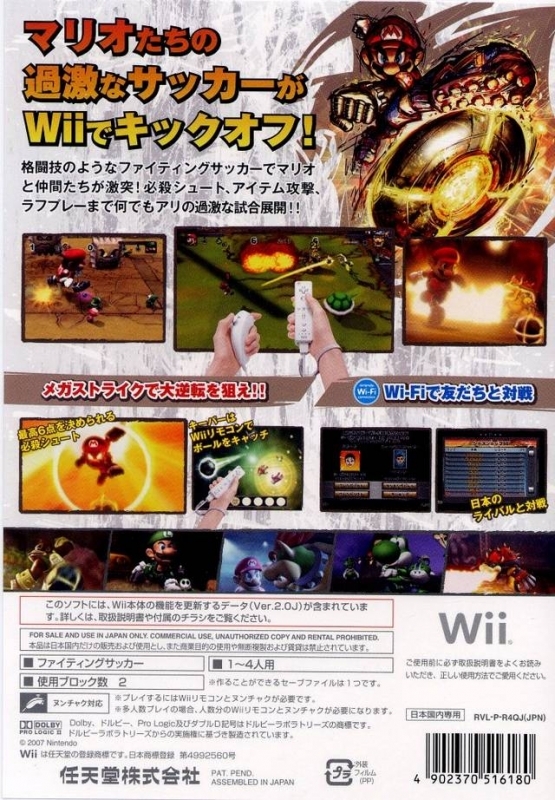 A successful Mega Strike can split into six different balls, all of which must be blocked by the defensive players by using the Wii Remote to point at the screen. Practice passing and charging the ball to increase the chance of scoring. The player can charge the ball by completing a series of successful passes and avoiding steals, or by holding the B button to charge the ball quickly. The interactive stadiums, each with its own pitfalls, make each game an exercise in chaos. Nintendo Wi-Fi Connection Play: Players climb the rankings boards as they compete on Nintendo Wi-Fi Connection specific to the region they are playing in. They earn ranking points by scoring goals, posting game wins and even just competing. Players can earn up to 20 points total: 10 points for a win, 1 point for a loss and 1 point per goal, to a maximum of 10 points. 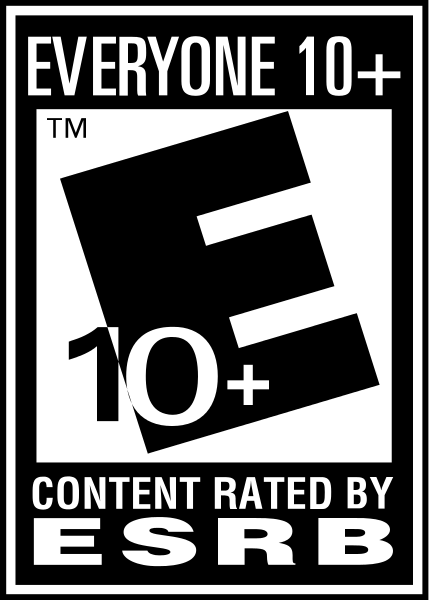 With a positive structured rankings system, players are rewarded for playing games in their entirety, creating better online experiences for all participants. The ultimate reward is watching a player's rank climb the leader board. Players are matched up with opponents of similar skill levels through a rankings-based matchmaking system. The player who has earned the most points for that day will be rewarded the title of Striker of the Day, and rankings reset to zero each week to restart the competition and see who rises to the top. To keep the ranking system honest, players earn points only when competing in ranked games, not when playing against friends. Community: Mario Strikers Charged will offer a strong sense of Wii community, as players will be able to create Mario Strikers Charged profiles using Mii™ characters for their online identity and create a Friend Roster to manage their social community. 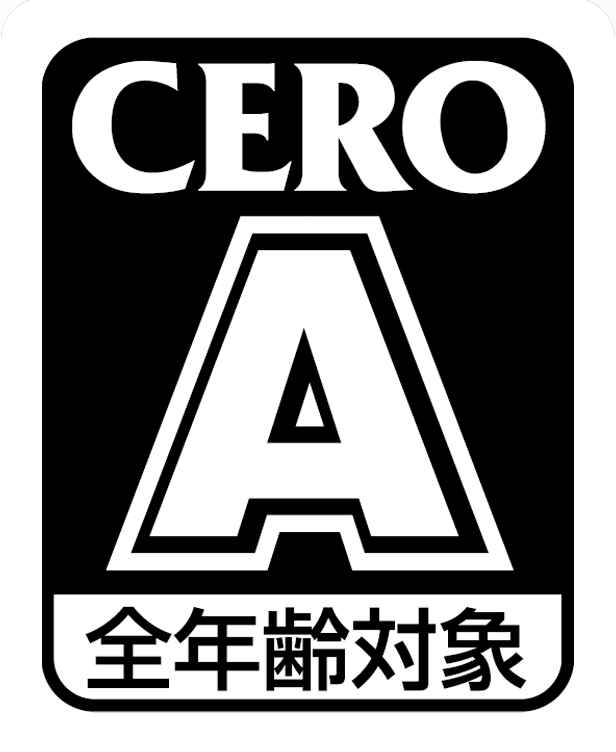 Using their Mii profiles, players can track their progress on the ranking leader board and their performance against their friends specifically. The goal is to build a community that is accessible and friendly to new players, yet also rewarding for more advanced players. Just played it two hours with an 11 years old, we had a blast ! Very dense and very rewarding. I think this is the worste sport mario game ever! re-re;eased as best seller? THat must have only been in america becuase in the EU it hasnt semed to affect wii sales. This couldn't have been selling less than twighlight princess? Why did they stop? Great fun with some friends. Get this while you can, Nintendo officially stopped shipping and production on this one. At least it made it to 2 million!